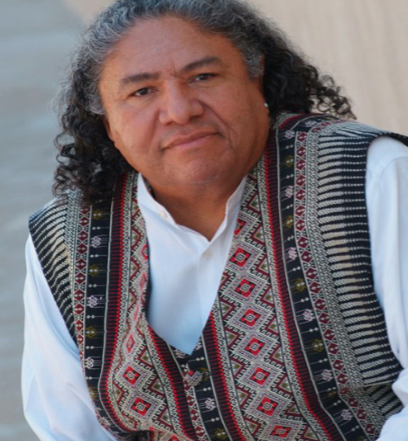 Wed., April 18, 7-9 p.m.
Edgar Heap of Birds is an internationally known indigenous artist and activist whose work addresses the genocide of Native Americans. His approach? Sly text-based works and a sharp sense of humor. He had a solo exhibition at Bockley Gallery this past fall, and tonight he is back for a talk and panel discussion at Macalester College with Dr. Kate Beane (Minnesota Historical Society), John Little (Documentary Filmmaker and PhD candidate at the U of M). Moderated and organized by Althea Sircar, Macalester Dept. of Political Science, and Dr. Katie Phillips of the history department. Cost: Free, but reserve a space here. Wed., April 18, 7 p.m.
London-based artist Marianna Simnett is fascinated with the limits of the human body, and the ways it can be medically altered. In anticipation of her May 2018 stay at FD13 residency for the arts in Minneapolis, the White Page Gallery hosts a screening of two of her films. In “The Needle and the Larnyx” (2016), a girl visits a doctor to get her voice altered so that it is lower, causing tension between the roles of an authoritarian character and a seemingly submissive patient. “Worst Gift” further investigates the power dynamics in the medical profession. The film stars a real-life surgeon and choral singer, Dr. Declan Costello. The FD13 residency brings international artists to the Twin Cities, in an effort to create dialogue with the community. Exhibition continues through Sept 1. The Museum of Russian Art doesn’t often show works by living artists, but for longtime Minneapolis artist Leon Hushcha, it made an exception. 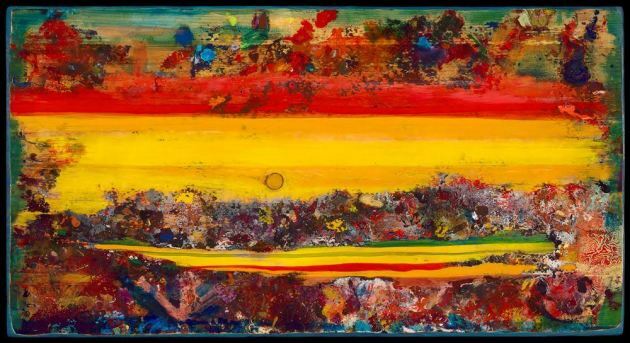 This exhibition is something of a retrospective, featuring a collection of the Minneapolis artist’s paintings, drawings and sculpture from the 1960s through 2018, but it is by no means a complete picture of his career. Incredibly prolific, Hushcha has stuck with the two styles he honed in the ’60s and ’70s: abstract work, in which he mixes glitter into swirls and splatters and carvings, and figurative paintings that explore the contours of bodies and faces with thick lines. Curator Masha Zavialova also sneaks in some key sculptural works, like a bench that Hushcha uses to paint. Opening Friday, April 6 from 6-10 p.m. In this smartphone and media-saturated environment we live in, it seems like there's no time or space for non-productivity. What does it mean to wait anymore? That's what Emmett Ramstad explores in this full-on installation/gallery takeover, where he examines times of waiting: Your mouth open at the dentist, waiting; sitting on the toilet while also checking email, waiting; stopped at a light and texting, but also waiting. 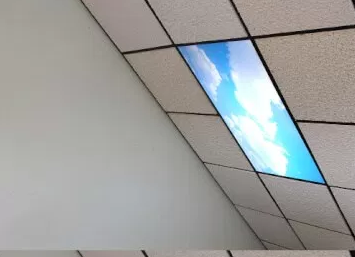 he upstairs space is transformed into a waiting room, which includes a ceiling, sunrise calendar and a room of tissue boxes. But wait: Why aren't you waiting for nothing to happen? It was the early 90s. The culture wars were raging in the U.S., from the AIDS epidemic to LGBT identity politics, queer activist groups like ACT UP, and many other radical changes took place. Visitors will investigate work by artist/activists like Ron Athey, Karen Finley, Ishmael Houston-Jones, Bill T. Jones, Patrick Scully, and the lesbian theater group Split Britches through photography, video and other ephemera. Light up the past, rage against the machine, with this politically intense work. Will a new Minnesota Theater Award rise from the Ivey Award ashes?